In a statewide youth survey, Vermont youth overwhelmingly ranked having more askable and supportive adults in their lives the #1 thing that would address their concerns at school and in their communities. This April during Sexual Violence Awareness Month, the Vermont Network Youth Advocacy Task Force is launching a social media campaign to elevate youth voices by asking youth to share what an askable adult means to them. Are you an askable adult? 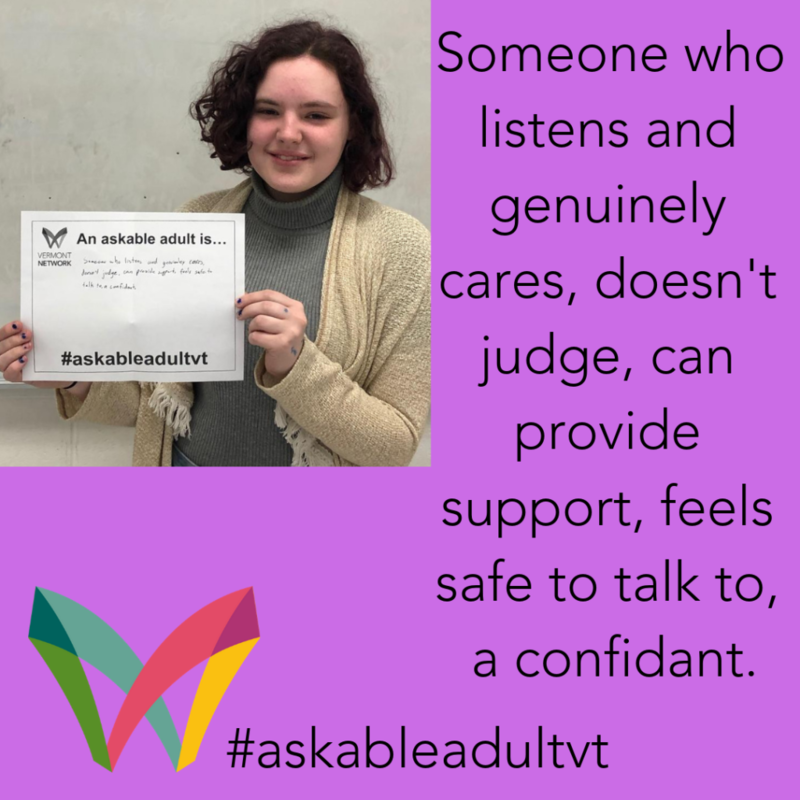 Tune in to #askableadultvt to find out how Vermont youth define askable adults. Ask the young people in your life what THEY mean by askable/supportive adults and become one. Watch for #askableadultvt swag including stickers and postcards that you can display on your stuff and in your office. Share your #askableadultvt experiences on your own social media and with other adults. To learn more, click here for the full Youth Survey and read about what Vermont youth identify as concerns in their schools, communities, and homes and what they think will help!